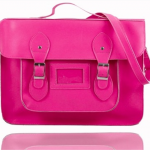 First up in our handbag guide is the back pack. A back pack is defined, funnily enough, as a bag one wears on your back, although increasingly you will see tourists wearing them across the front – usually for security reasons but sometimes because they think it’s trendy. 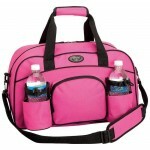 It has two sturdy handles that help to balance the load so that your back is supported. 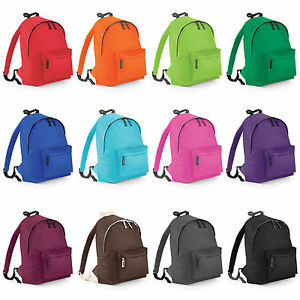 Back packs (also known as rucksacks, knapsacks and haversacks) vary in size. The larger ones are used for camping and ‘backpacking’ (hiking through foreign countryside) and tend to have a lightweight aluminium frame. Smaller ones will not have a frame. The most useful backpacks are made of canvas or nylon. Any that are made from leather, cotton or other materials are just a fashion statement. 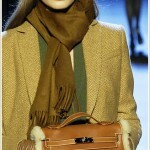 A Baguette bag is a handbag that is relatively long from side to side but small from top to bottom. As you would imagine it looks like a painted baguette with a handle. Generally, the baguette bag is not particularly large and doesn’t hold much more than a (small) purse, phone, keys and a tissue. You’re unlikely to be able to fit a foot-long baguette inside to save for your lunch. Barrel bags tend to be used by sporty men. They are like very large versions of the Baguette bag, but in this case will hold lots of sports kit and your trainers, as well as shower gel and your foot-long baguette lunch. The drawback is that once unzipped, they smell of sweaty jock straps. A beach bag is a large tote. 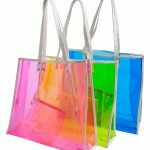 Usually a beach bag will be made of cotton, plastic or straw, and be extremely colourful. They are essential for any woman’s holiday by the sea or pool. They need to be big enough to contain a towel, sun cream, a trashy paperback novel, a bottle of water, lip balm, sunglasses and the ever ubiquitous phone for obligatory beach selfies. 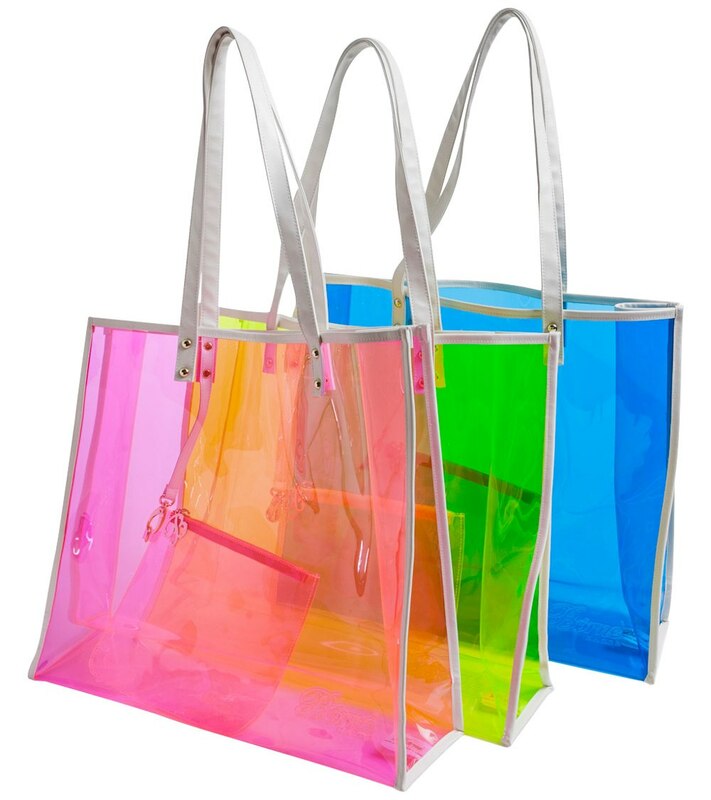 Beach bags rarely get a second season because they are replaced annually. 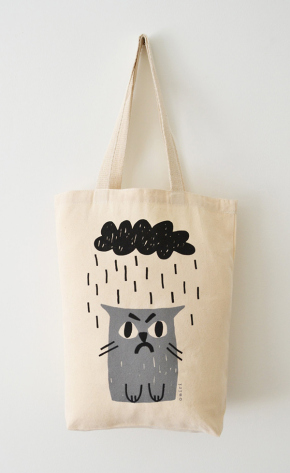 Carry your bowling balls in this. 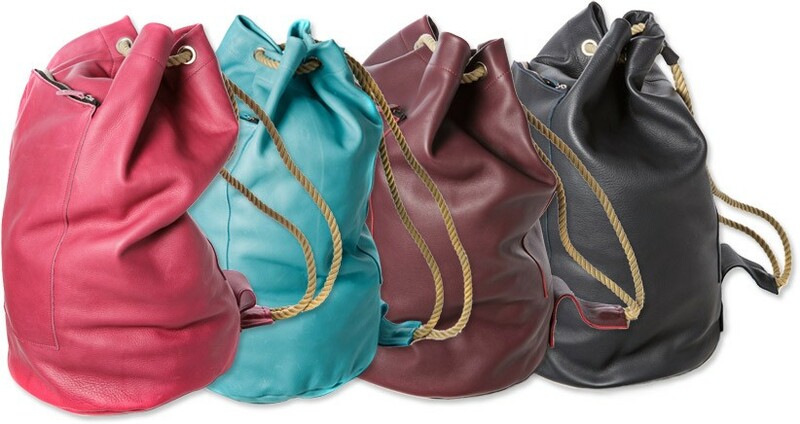 A bowler or bowling bag is a medium-to-large bag with handles, that has been fashionably designed, and is typically used by women, to hold personal items. It was popular in the 1990s when its “retro” style appealed to younger women. 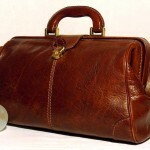 It was modelled on bags that folks in the USA used to carry their bowling balls in in the 1950s. To each their own. 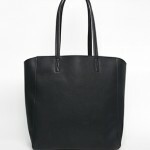 A much more sensible bag, the bucket bag is literally shaped like a bucket. 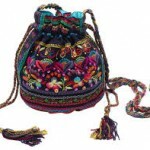 It tends to be medium-size or large, with a long shoulder strap, or shoulder straps, and sometimes has a drawstring closure. You can throw anything in there. That’s the beauty of the bucket bag. The drawback? You may never find anything in it. Canteen. Another one that doesn’t hold much. 2015 was the year of the canteen bag, and it remains to be seen whether it stays as popular. Named after the good old canteen of old – a drinking water bottle designed to be used by hikers, campers, soldiers and workers in the field – the canteen bag is round, with a long shoulder strap, usually a cross body shoulder strap. It tends to be sturdy and well padded. 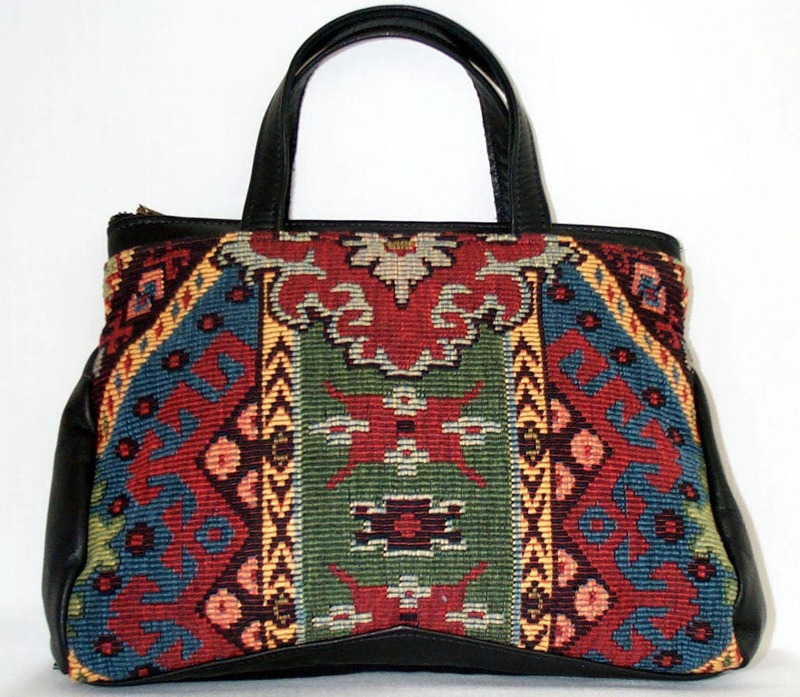 Once upon a time, carpet bags were made of oriental rugs, with leather trim and brass studwork. The idea was that the bag would be light enough to carry on to a boat or train, unlike the huge steamer trunks that people tended to travel with, which required porters to shift. These bags, while still made in some quarters, have largely been replaced by other types of hand luggage and back packs. 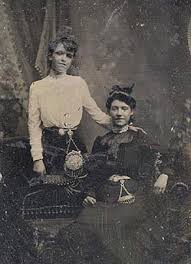 Ladies with their chatelaine bags. A Chatelaine bag is now out of fashion. It was made with a buckram frame and velvet body and would have been highly decorated. 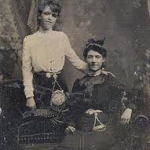 It was designed to hook onto a lady’s long skirt, or was attached to the waistband using a chain or cord. 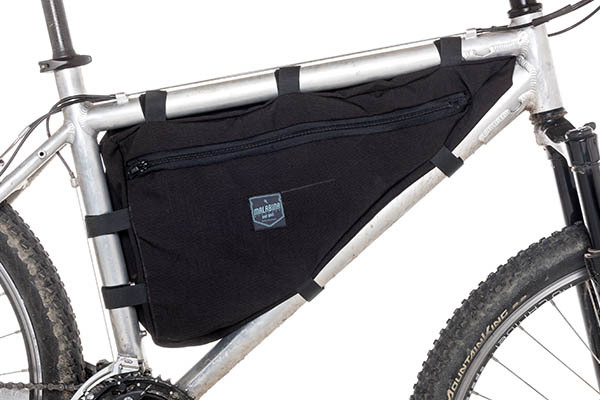 Clutch – because it has no handles. 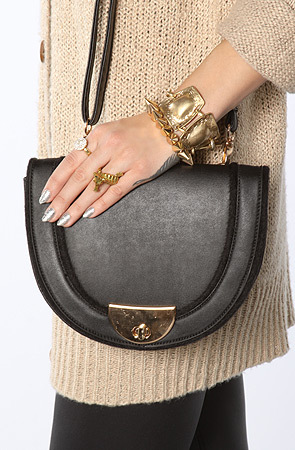 No handbag guide can ignore the presence of this mighty giant. 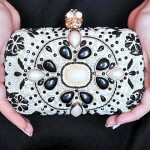 A clutch handbag is one that has no handles, but is ‘clutched’ in the hand. 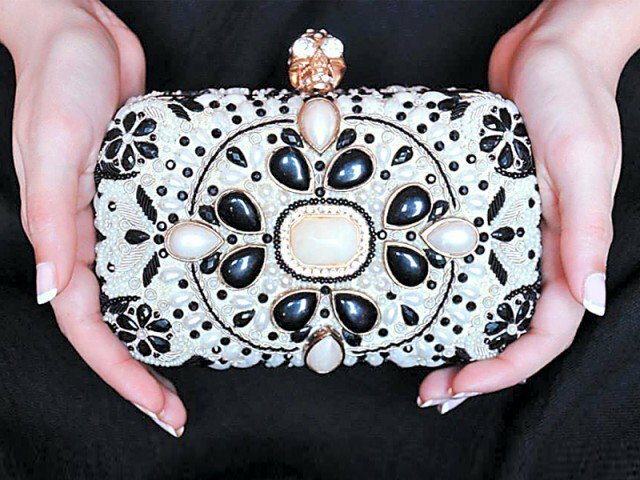 It is therefore small in size, rectangular in shape, and is most often used as an evening bag, although it can be used during the day as well. 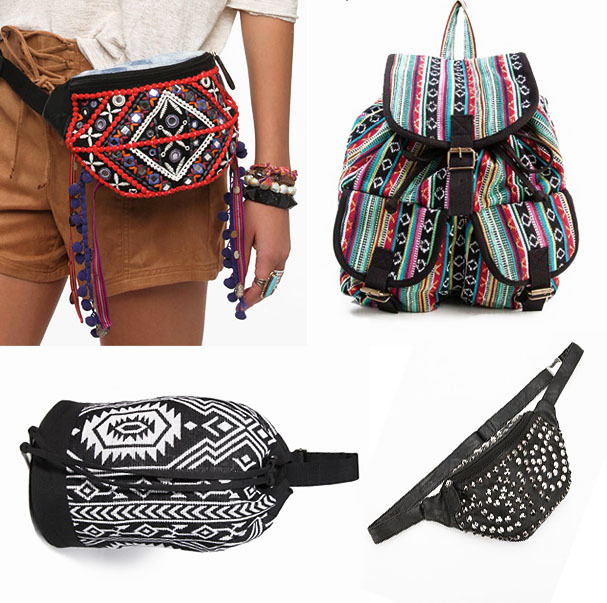 Cross body bags do what they say. 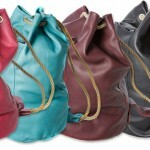 They are bags with a long strap that are worn on one shoulder and across the body. This is mainly for security purposes, but also convenience, particularly if you have sloping shoulders and your handbags tend to slip off them. If you are very overweight, you may need a longer strap. If you have a large chest, a cross over bag can get lost in your boobage. Having said that, men can also utilise the cross body bag with fewer problems. Usually. 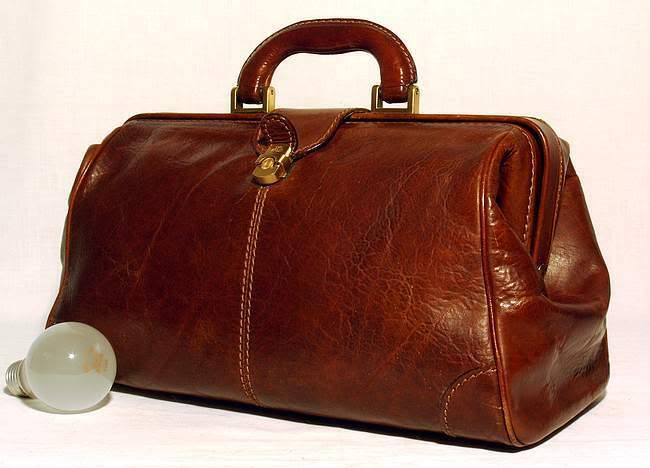 A doctor bag (medical bag, physician’s bag) is a portable bag that was traditionally used by a doctor (yes, really) when they needed to transport lotions and potions and mixtures and pills around with them. 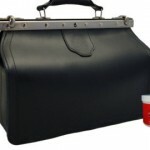 Traditionally, the doctor’s bag was made of leather, opened on the top with a split-handle design, and was of a heavy quality that would last a very long time. 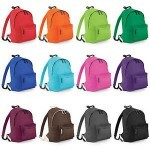 Now used for fashion purposes, these bags do tend to be manufactured by high end designers, but come in a variety of colours. 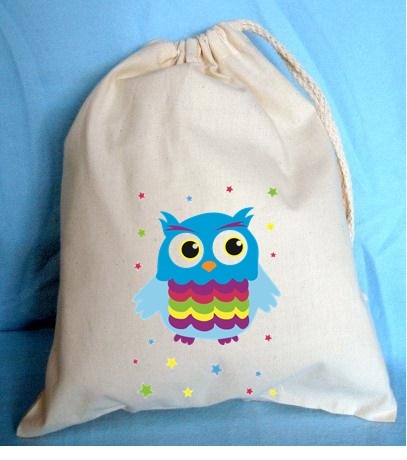 Before the days of zips, buttons, clasps or locks, a drawstring was the most secure way to close a bag. In many ways it still is. You try getting your house keys out of a drawstring bag when you need to pee really badly and the string has formed an impenetrable knot. 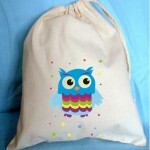 A drawstring bag will have wrist- or shoulder-length straps. They are often popular for use in the evenings, or are unwelcome gifts from foreign holidays in Asia. 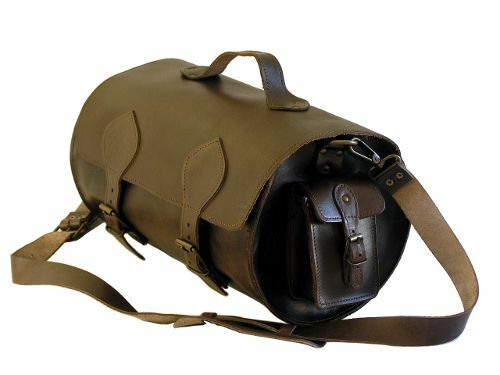 A duffel bag, also known as a kit bag or latterly a gym bag, is a large cylindrical bag, often very deep, that is made of cloth or canvas and has a drawstring fastening at the top. 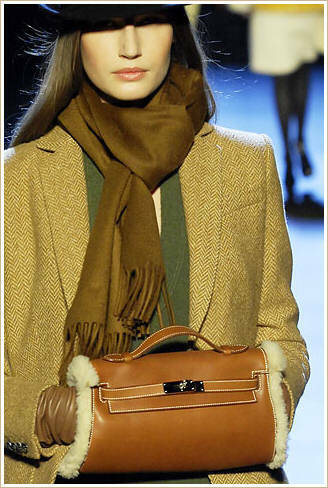 The name comes from Duffel, a town in Belgium where the thick cloth used to make the bag first came from. Envelope bag … can you see it? 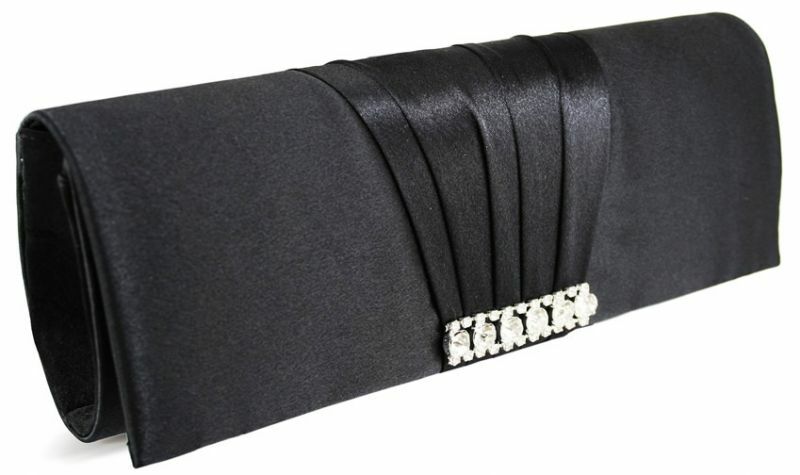 An envelope is a form of clutch (see above) but it has a distinctive envelope style closure, usually with a small metal latch or clasp. 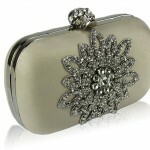 We recognise the extent of your knowledge, and can confirm that an evening bag is a bag used by women in the evening. 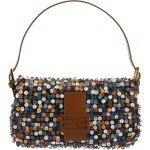 These bags tend to be small, as women need fewer accoutrements as the day wears on for some reason. Once upon a time this bag would only be large enough to hold a powder compact, a lipstick and a very thin cigarette case. Women had no need for money, keys, phones or lighters in those days because gentlemen were gentlemen. They would be decorated – the sparklier, or more embroidered, the better. Sounds like a wind up – a feed sack or bag on a handbag guide. 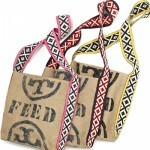 A feed bag or sack was once used with donkeys and horses etc., for snacks when they were working or on the move. Now it seems they are part of fashion. They look like bucket bags (see above) so are probably of the same ilk. It transpires that during the American Depression, women used feed sacks to make clothing and bedding, so these bags actually have a long and dignified history. During WW2 it was estimated that three million women and children of all income levels were wearing print feedbag garments in the USA – in a similar drive to the UK’s ‘make do and mend’. Middle class and made of money? Can afford Glasto tickets? Super-duper. 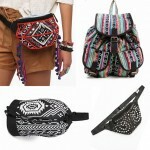 A festival bag is one you take with you to a summer festival and promptly lose or have nicked. 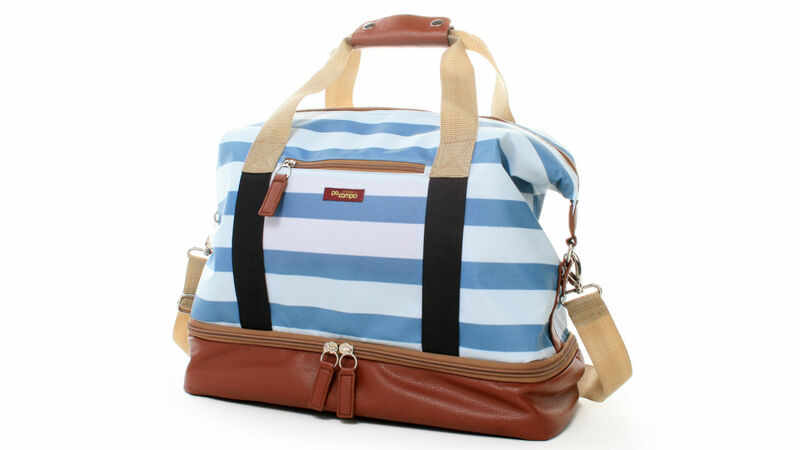 A posh, more funky, relative of the humble beach bag. 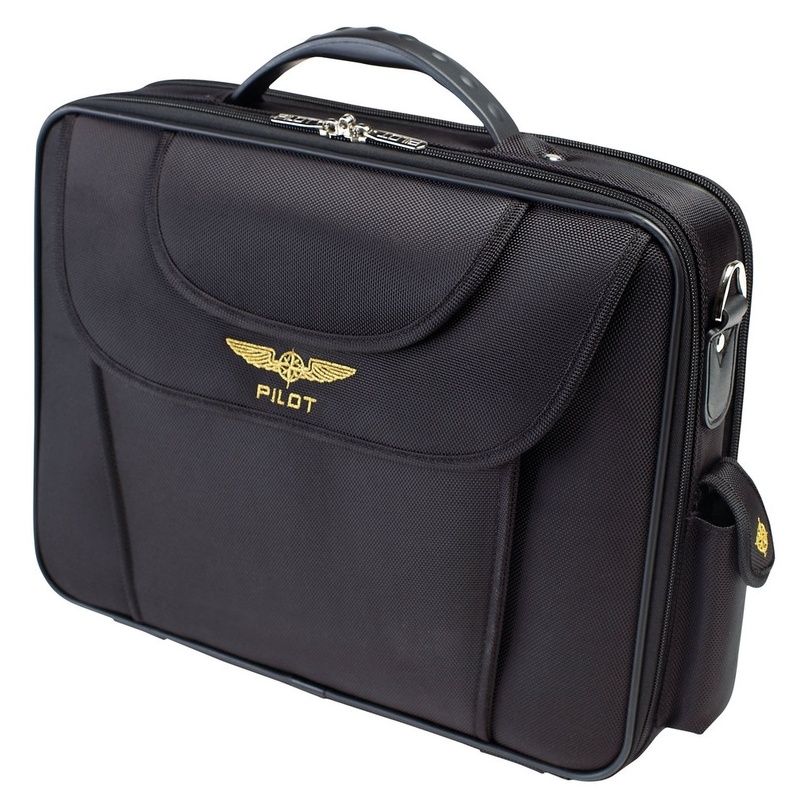 A flight bag can really mean any piece of baggage that you take on to a flight, but it once more accurately meant a specific type of document bag that was carried on by pilots or flight crews. A chic flight bag would have the airline logo emblazoned somewhere. 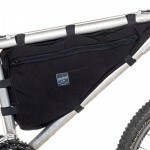 A frame bag is one that has been specifically designed to fit onto your bicycle or it can refer to a sturdy handbag with some sort of frame (this can be bamboo for example). For hippies everywhere! 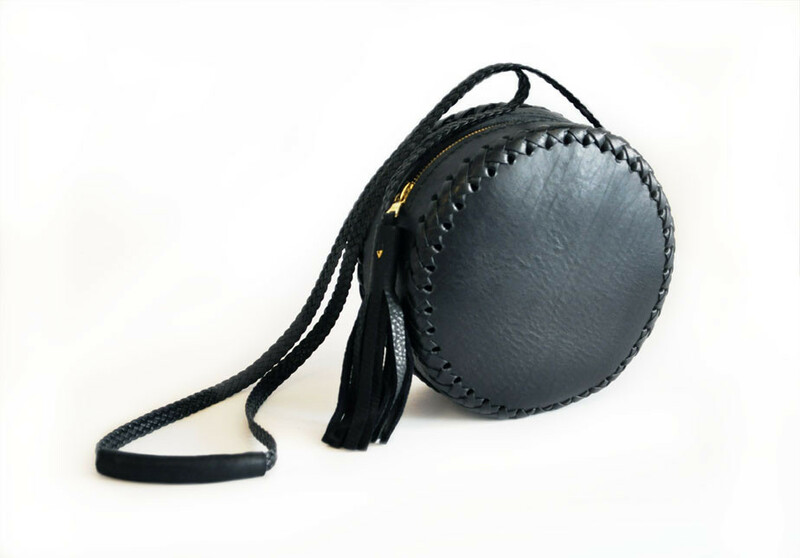 The fringe bag will usually be in suede, or leather, and has come back into fashion thanks to the current popularity of the boho look. The idea that hippies on their communes could ever afford current prices for a suede or leather fringe bag is pie in the sky. Not to be carried when wearing your best work suit. A Gladstone bag is really just a small suitcase. It has a rigid frame which is separated into two equal sections. The Gladstone bag is deeper than a suitcase, when considered in proportion to its length. 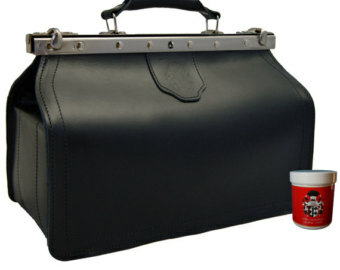 Generally, Gladstone bags are created using good quality, stiff leather and will be belted. The bags were named by the manufacturer, J G Beard, after William Ewart Gladstone (1809–1898), Prime Minister of the UK four times. Gladstone bags are not to be confused with kit bags. 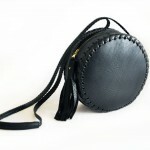 A half-moon bag is shaped as a half moon, with the straight side holding the handles. The handles can come from the curve too however. 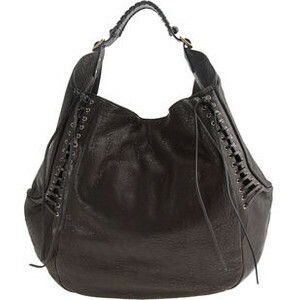 The hobo bag is a large handbag, that is so called because of its lack of structure, meaning it has a tendency to slump or slouch when set down. 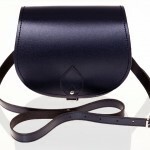 It is generally crescent shaped with a long strap. The material is soft and flexible. The bag is usually closed with a top zip. 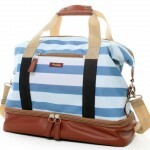 It is a modern, casual style of bag. Not for best. Too nice for just a laptop! Lap top bags started off by doing exactly what was said on the tin. They carried lap tops. Increasingly these days they are found in a range of colours and patterns, and people use them to carry things besides their laptops. Is it a handbag? Well it made it on to this handbag guide so it must be. 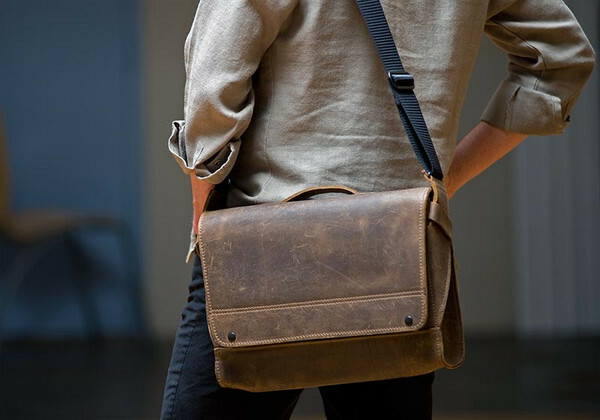 A messenger bag has one long strap that is worn across the body, resting against the lower back, and tends to be a square shape. 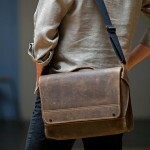 It was inspired by the bags worn by urban messengers to deliver business mail. Popular with men and students. 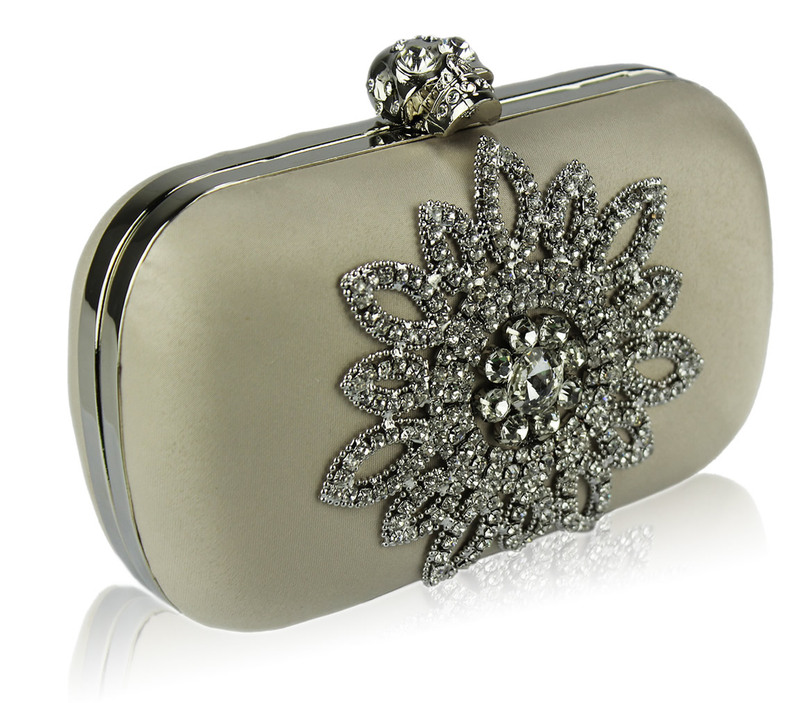 A minaudière is a small rectangular evening bag, with a hard-body. 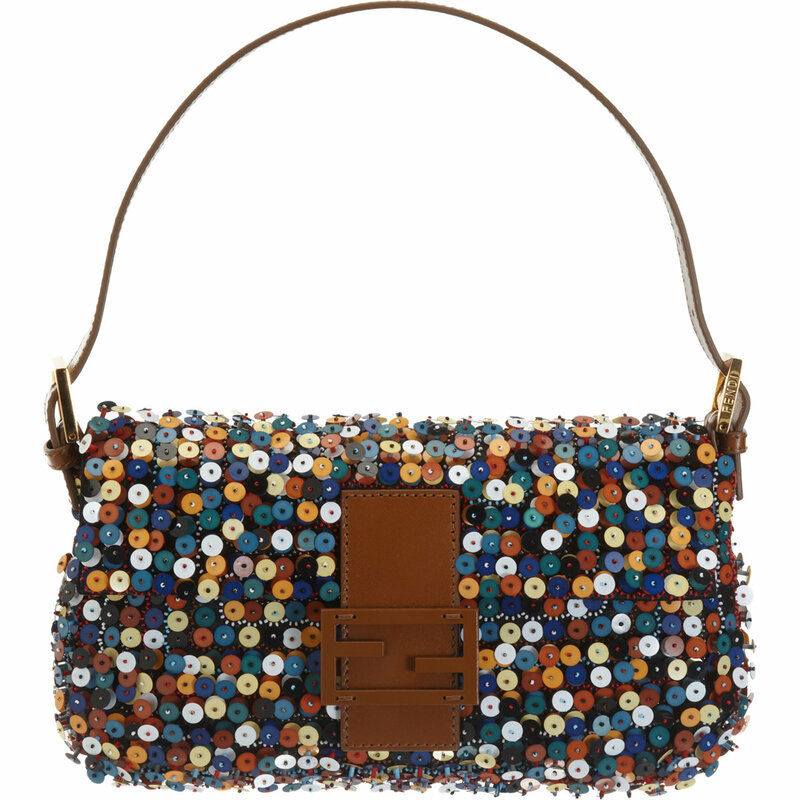 Popular during the 1930s, the bag was a fashion accessory, that was considered a jewellery piece. It had a number of compartments used for storing items such as a makeup compact, lipstick, watch, reading glasses, or keys. A muff is a winter bag made of real or faux fur, wool or velvet that has zippered compartments and a slip opening for hands. It was popular with sophisticated women during the 1950s and 60s, and seven-year-old girls in the 1970s. 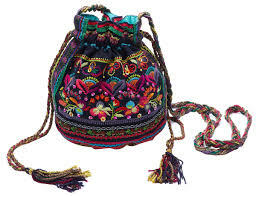 A pouch is a small bag such as a money bag, sporran. A pocket is also a pouch. 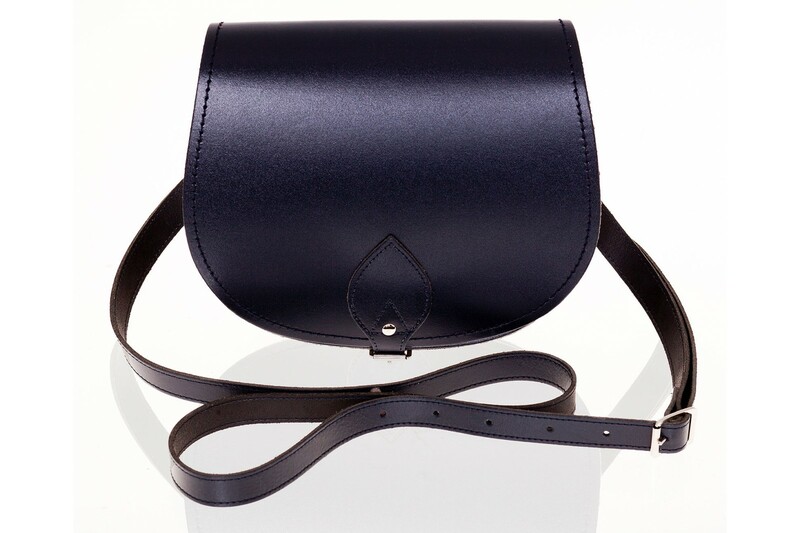 A saddle bag, is unsurprisingly shaped like a horse saddle. The really classy ones have equestrian motifs and other hardware to emphasize the design. A satchel is a large bag, usually made of tough leather, with a long strap and handles. The strap is worn diagonally across the body. 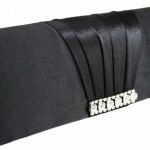 They are traditionally used for carrying books, files and papers. Out of fashion for some time during the 1980s and 90s, they have started to make a comeback and are popular among women as they come in lots of different colour leather. 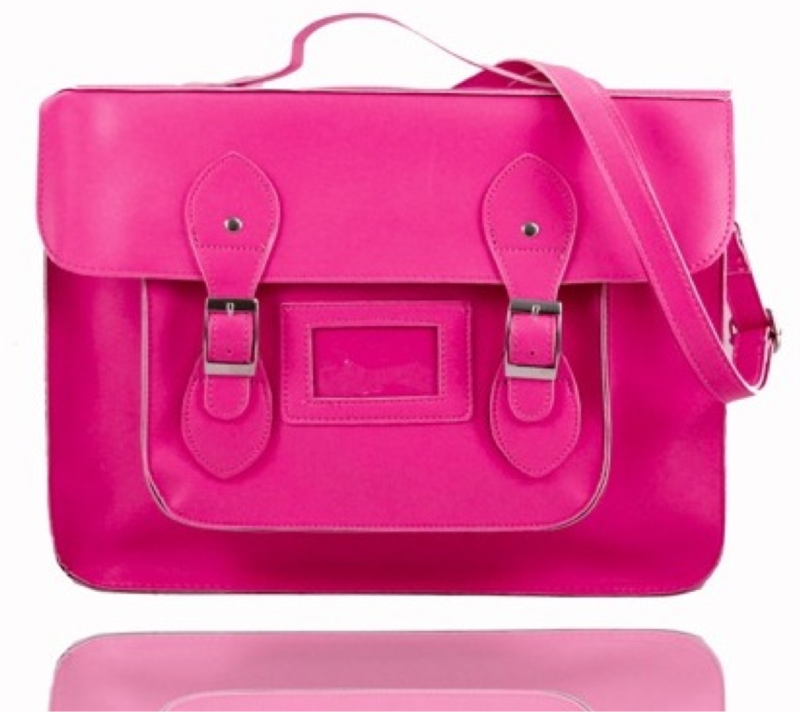 Can be a satchel (see above). But theoretically can be any bag used for taking stuff to school. 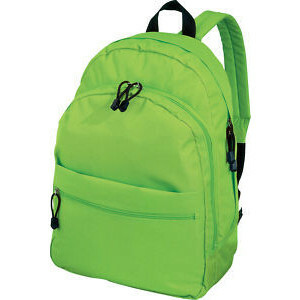 See also back pack (above). 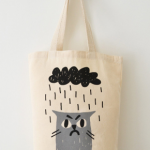 A shopper is any large back, generally a tote bag (see below) that can be used to store shopping, and not necessarily beans and basmati rice. A shopper can be taken to a shopping centre, and in this age where plastic bags are now a no-no, they are used for carrying all manner of purchases such as toiletries, cards and books. 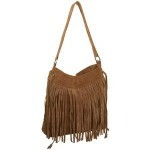 A shoulder bag is a bag that has a long strap and is carried over one shoulder. It is not worn across the body, it merely hangs. 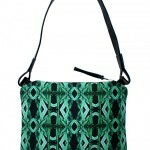 A shoulder bag can be small or large, it can be rigid or it can be soft. It could be a canteen (see above) or a beach bag. 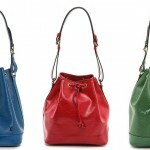 There are really only two types of bags – hand bags (those held in the hand) and shoulder bags. 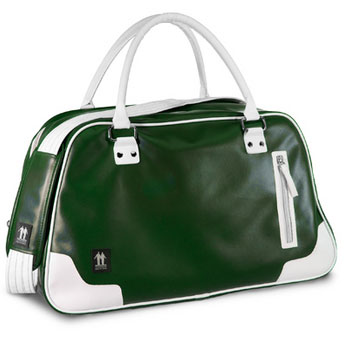 A sports bag is large enough to hold a gym kit and trainers, as well as shower gel and a towel. 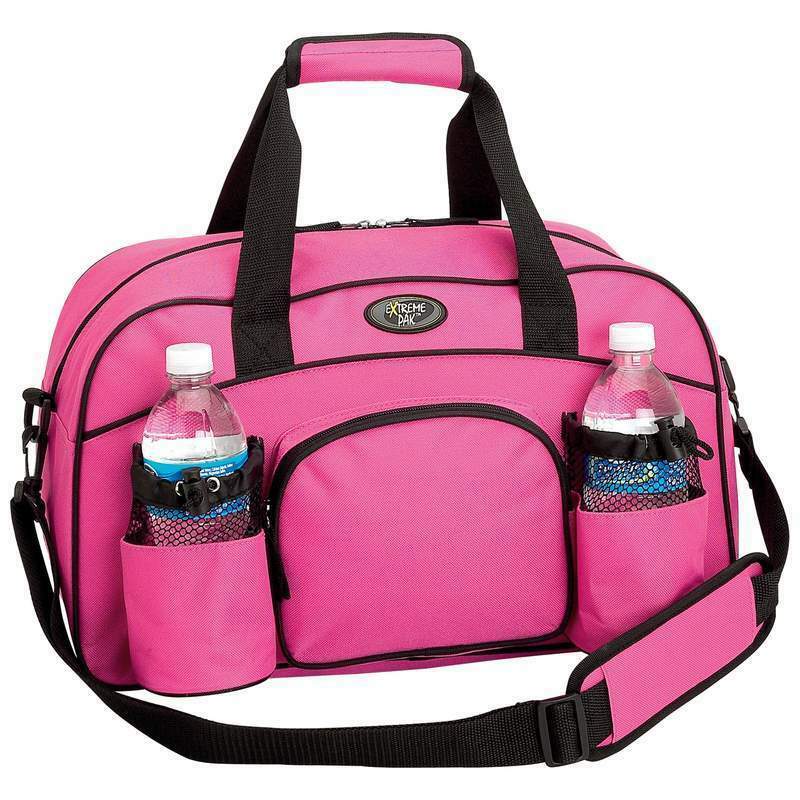 Quite often a sports bag will be a duffel bag or a barrel bag. Many people own sports bags, not so many people use them come February of each year. Lots of seams and pretty solid. 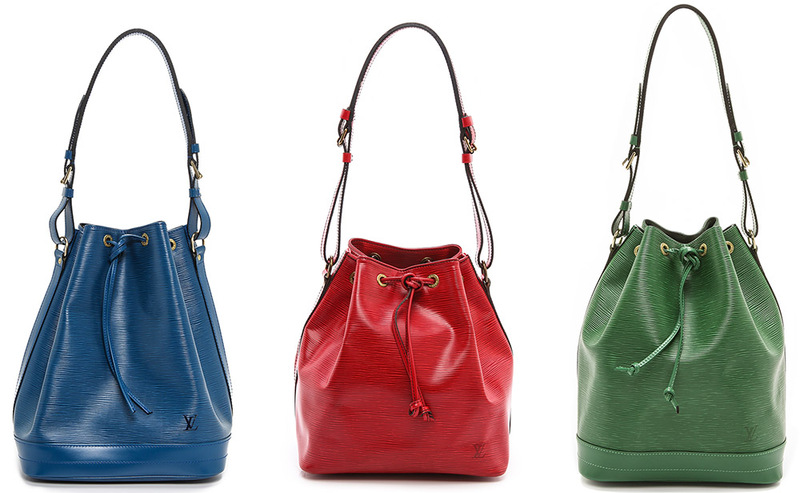 A structured bag is one that is not soft, flexible or slouchy. 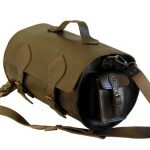 It may have a frame (see above) or it may be made of rigid leather, such as the canteen bag (above). 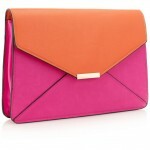 A structured bag will have shaping and seams, and will hold its shape when placed on a table or floor. 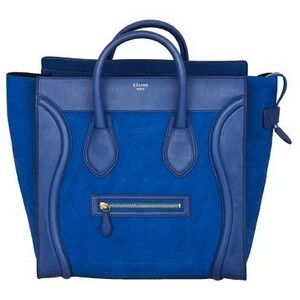 It’s the opposite to a hobo bag (see above). A swag bag used to be something that thieves carried their stolen loot away in. Nowadays only celebrities have swag bags. These will be free of expensive things that celebrities can actually afford to buy for themselves and won’t appreciate anyway. A swagger bag has some of the same connotations. It is heavily guarded by the female of the species. It is part handbag (with hand handles) and part shoulder bag (with a long strap that probably can’t hold the weight of what the bag contains). It has numerous compartments, and lots of fastenings. 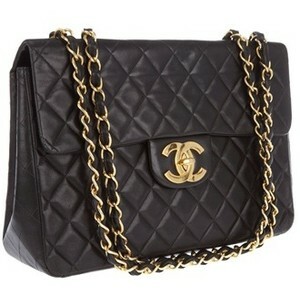 It is a rigid structured bag, and can sometimes be quilted (oh the horror). Overdone and tasteless, it is currently – of course – high fashion. 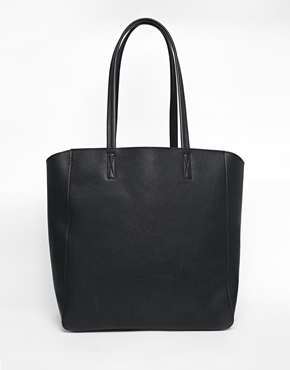 A tote is a medium to large bag with two straps and an open top, that is designed to be fairly casual and easy to ‘tote’ around. 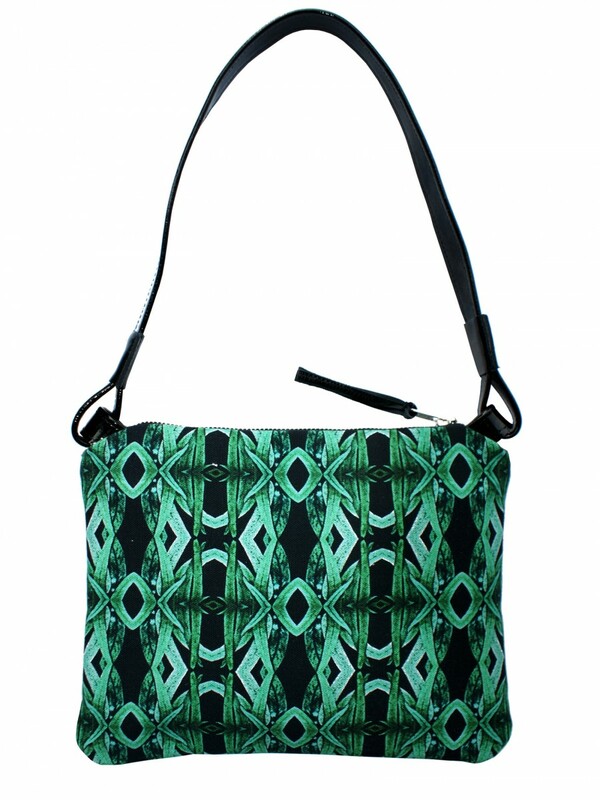 Usually a tote does not have long straps, but the straps will be long enough so that the bag can be worn under the shoulder and gripped against the top part of the body. For dear life. A weekend bag is one that carries enough of your crap that you can take it away for the weekend. 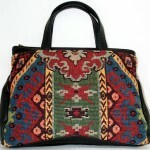 See carpet bag (above). 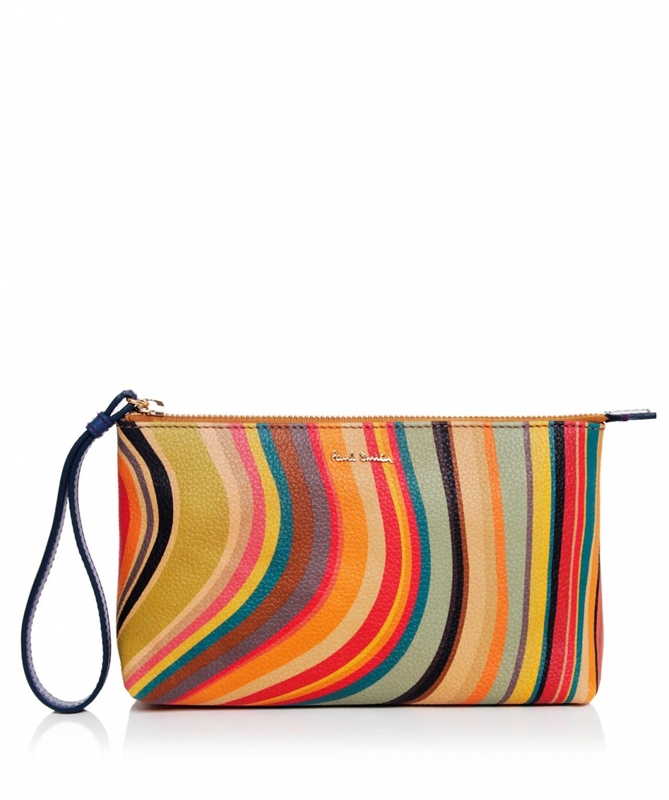 Wristlet. Not quite a clutch. 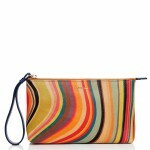 A wristlet is just a small step up from a clutch bag (see above). Rather than ‘clutching’ your bag, you can thread your hand through the little wrist strap and still drink a cocktail and smoke a fag at the same time. 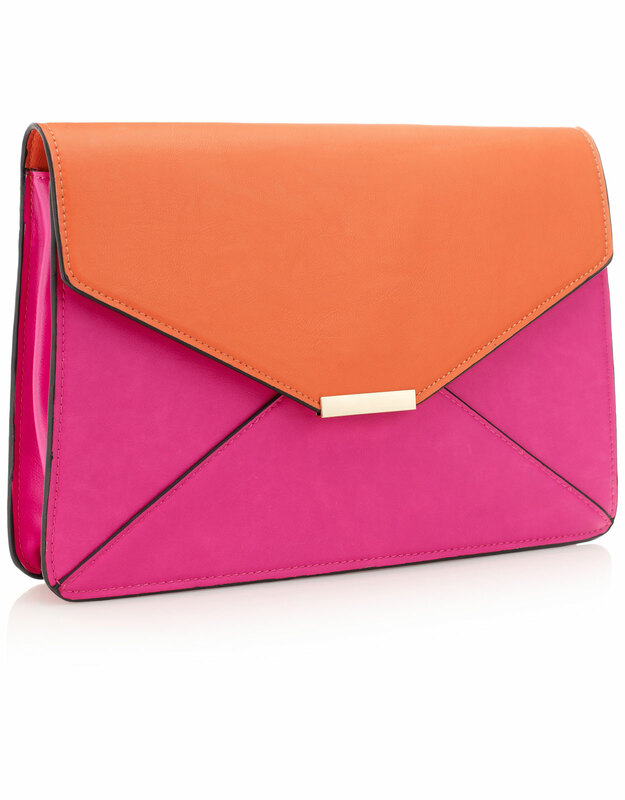 What do you think of our handbag guide? Are you any the wiser? I know I am! Can you think of any we’ve missed out? Let us know below or join the conversation on Facebook! Your collection is really good. I wanna add something to you. 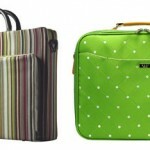 Top 5 laptop bags for women.